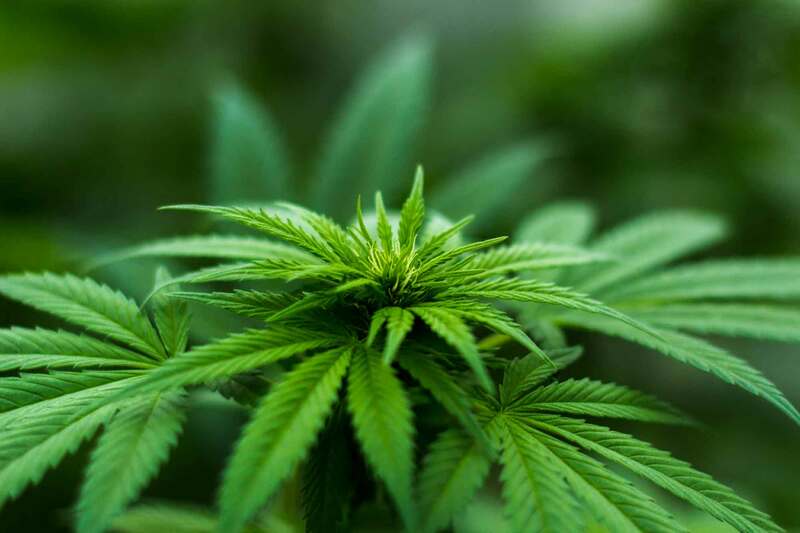 What's the difference - Amherst Sour Diesel vs Sour Diesel? Is there a difference between "Amherst Sour Diesel" and "Sour Diesel?" What does the Amherst represent, anyone know? Amherst sour diesel is sour diesel breed with an unknown. If I had to guess maybe it was bred in Amherst Massachusetts. 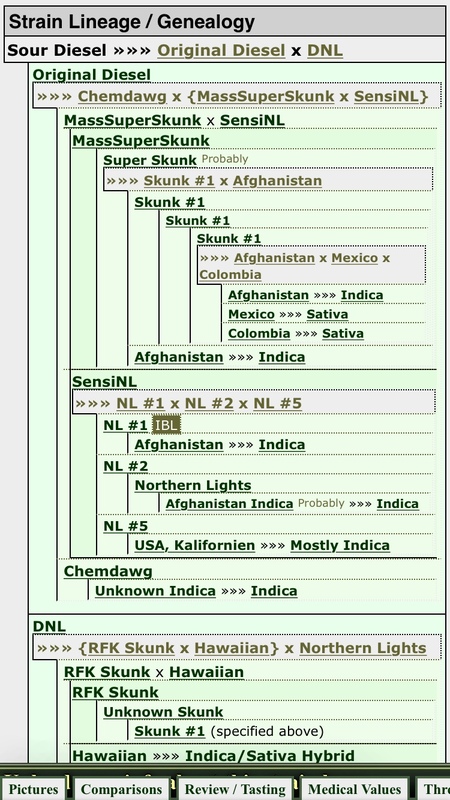 Just google sour diesel seed finder. It's the first result. 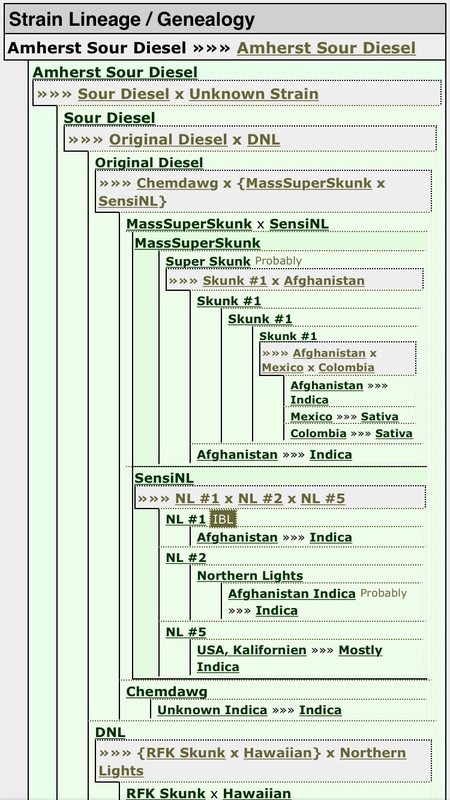 Gives the genealogy of most strains.